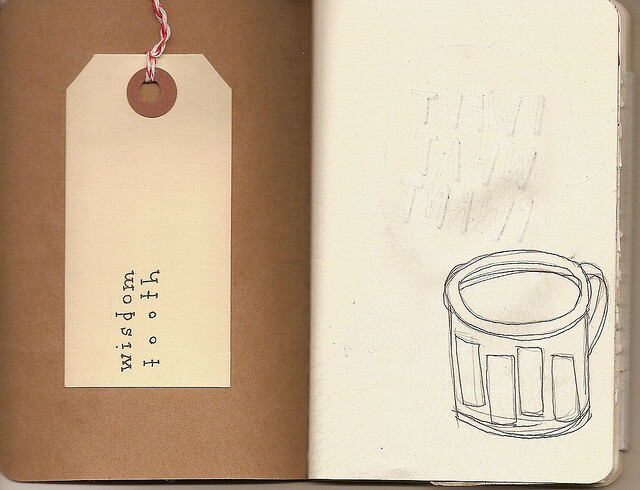 WISDOM TOOTH: Are you an artist? Do you love International Girl Gang Underground? Are you an artist? Do you love International Girl Gang Underground? WE WANT YOU TO DESIGN OUR COVER! The International Girl Gang Underground zine needs a cool, one-of-a-kind cover that will represent the breadth of subjects, styles, and stories of the Girl Gang Underground. The zine will be 1/2 of an 8.5” x 11” page, copied in black & white. Your art should be suited for black & white copies - so a good amount of contrast is necessary. Please submit your sketch or proposal (along with a link to a portfolio/images of your other work, if you have one) by Wednesday, September 29th. The final product is due Wednesday, October 27th. See website for mail-in submissions, must be postmarked by 9/29.